Marciano Museum is part of the Basilica San Marco complex. It is famous for the statue of bronze horses that was at one time, displayed in front of the basilica. Be sure to see the manuscripts, ancient tapestries, antique mosaics and jewelry. Take in the breath-taking view of the Venice Basilica and the square from the gallery. The Museo Correr houses superior historical exhibits. Splendid paintings are also on display, including Venetian works of art from the 13th -16th centuries. See the splendid Gothic works of art, including the gold Madonna. Don’t pass up the collection of women’s’ footwear that is almost five centuries old. This museum also has an interesting collection of Roman antiques and a section containing globes that date back to the 16th century. The Archaeological Museum contains an important compilation of Greek Sculptures, as well as a wide selection of art objects from ancient Rome. The Peggy Guggenheim Collection includes works by Picasso, Pollack, Duchamp, Dali and Kandinsky, all part of the personal collection of Peggy Guggenheim. Be sure to see the sculpture garden, it is fantastic! The Museo Navale is home to much memorabilia from famous vessels. The museum has a very wide selection of objects and artifacts related to nautical and Venetian history. Exhibits include a gallery of beautiful gondolas. Be sure to see the massive cannon and the relief maps of overseas fortresses dating back as far as the sixteenth-century. The Ca’Rezzonico contains the most extensive collection of 18th century art in Venice. Located in the former Baroque Palace, the Ca’Rezzonico exhibits several tiers of artwork that includes paintings, sculptures and antique furnishings. Another gallery houses many important works by Giambattista Tiepolo. Portraits and landscapes from Venetian artists of the Settecento are on display in the Gallery Portego and on the grand staircase. 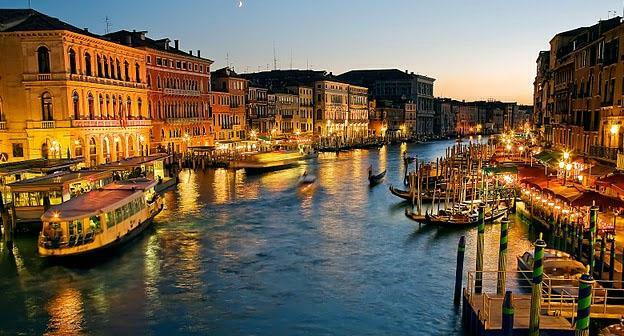 Many of the museums and art galleries you will visit in Venice are examples of superb architecture. A visit to museums in Venice may take several hours, as there are often so many exhibits and treasures to explore. Most museums have regular guided tours. Enjoy your visit and discover the Art and the History of Venice. Some of Venice’s museums contain café areas where you can relax as you discover the Art and the History of Venice or simply soak up the Venetian atmosphere! Will Kostantin is a regular blogger, this blog post was composed for Absolute product, Absolute sell art gallery supplies and museum supplies such as picture hanging systems, art display systems, art barriers and gallery products.